The program is designed to equip students with professional skills and techniques to effectively conduct therapy. It also aims to equip students with skills to understand how psychotherapy can be implemented in other areas of development such as personal life, relationships, family, and workplace. Psychotherapy is a general term for interpersonal and relational intervention of treating mental and emotional disorders by engaging clients to vocalise their condition and related issues with a mental health professional. Psychotherapists employ a range of techniques focusing on experiential relationship building, communication, and behaviour modification. This often includes alleviation of distress, an increase in individual sense of well-being, and reduction of subjective discomforting experiences. 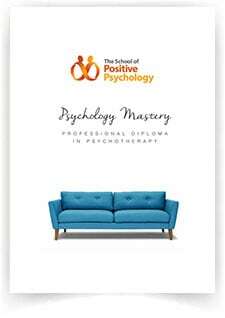 The course is committed to educating students on different disciplines of psychology and psychotherapy applications, as well as promoting specialised training for students who are keen to practice psychotherapy professionally and independently. The course is designed to train students in the three types of therapy approaches that psychologists, counsellors, and psychotherapists use to conduct therapy sessions. They are Cognitive Behavioural Therapy (CBT), Solution Focused Brief Therapy (SFBT), and Hypnotherapy. Students will also be taught the ethical aspects of counselling such as client confidentiality. Graduates of the course will be eligible for membership with the National Council of Psychotherapists, UK (NCP) upon fulfilment of 120 practicum hours, and membership with the Association of Psychotherapists and Counsellors (Singapore) with the fulfilment of additional clinical supervision hours.